Each six weeks teachers meet together to analyze the Student Expectations (SEs) being taught. They meet with a consultant and discuss what is taught and how to teach it. These meetings are called "Rollouts". Consider this newsletter a "Parent Rollout". This newsletter is intended to give parents an idea of what is being covered each six weeks in math and what their students should be learning. Please contact Anna Holmgreen, Director of Instruction for Math, if you have questions. What's the Best Thing Parents Can do to Help Students with Math? Ask what they are learning in math. Ask students to teach you what they learned. 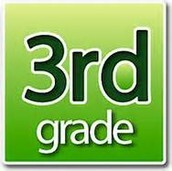 Work on recall of basic facts addition (and subtraction) for K, 1, 2 and multiplication for 3rd grade and up. Often students difficulties in math start with not being able to recall those facts easily. That makes figuring out problems even more difficult. Ask student to explain their thinking. This makes a HUGE difference. If you have questions...ask your child's teacher. Don't forget to contact me if I can help in anyway. AISD Parent Conference - "Oh, Parents! The Places They'll GO!" Please join us for the 4th annual conference. There will be many wonderful sessions including graduation requirements, dealing with behavior issues, family literacy and many more. I will be doing a math session: You Have Brains in Your Head and Shoes on Your Feet, It's Time to Walk Down a New Mathematics Street! 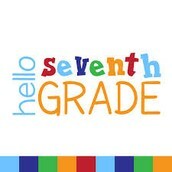 In the second six weeks Kindergarten students are introduced to the numbers 6-10. They should understand that when counting numbers, the last number said names the number of objects and when objects are rearranged, the number stays the same. 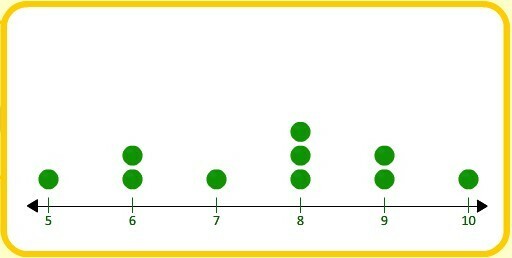 Students count forward and backward to 10 with and without objects, as well as read, write, and represent the numbers. They also compose and decompose numbers up to 10 using objects and pictures (see last six weeks newsletter for definitions of decompose). The goal is to have students instantly recognize a small quantity of numbers. Kinder students compare numbers and identify which is less than, more than or equal to a number. 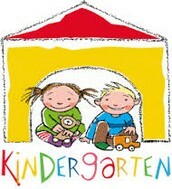 Kindergarteners are expected to recite numbers up to 60 by ones beginning with any number. Students also solve problems and determine if they are joining or separating and what operation to use and orally explain their strategies. Finally in the second six weeks, Kindergarteners begin to analyze data and graphs. They use the data to create both real-object graphs and picture graphs. Then they examine these graphs. 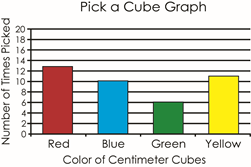 Students draw conclusions to answer questions and summarize the data represented in real-object and picture graphs. An addend is a number being added or joined to other numbers. 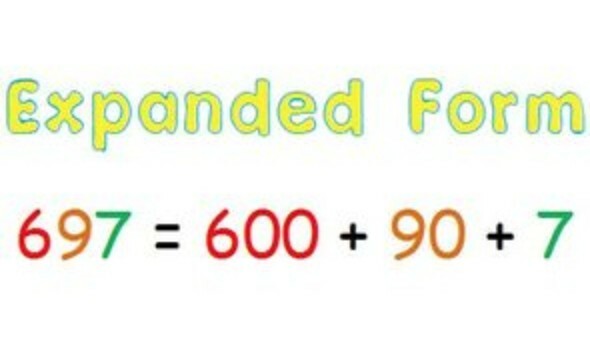 The sum is the total when two or more addends are added. The minuend is the number from which another number is subtracted. The subtrahend is the number being subtracted. A difference is the remaining amount. During this unit, students are formally introduced to the base-10 place value system by thinking in terms of “tens” and “ones” for the understanding of whole numbers up to 20. Students compose and decompose numbers through 20 as a sum of so many tens and so many ones. 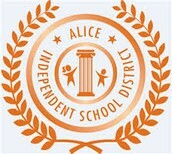 They use concrete objects which include base-10 blocks and place value disks, pictorial models, and numerical representations, which include expanded and standard forms. Students are also introduced to using place value and open number lines to order whole numbers. During the second unit, students represent and solve real-world problem situations involving sums and minuends up to 20 using spoken words, objects, pictorial models, and number sentences. They explore and explain a variety of strategies to solve problems involving joining and separating problems, and problems involving comparing problems. Students are expected to use a number sentence to represent the problem and explain that the equal sign means that the values on each side are equivalent. Students begin to recognize basic fact relationships.They also use these relationships to determine the unknown whole number. Finally students develop addition and subtraction problems when given a number sentence of numbers within 20. Any numeral from 0 to 9. The number 26 is a two-digit number and 459 is a three-digit number. 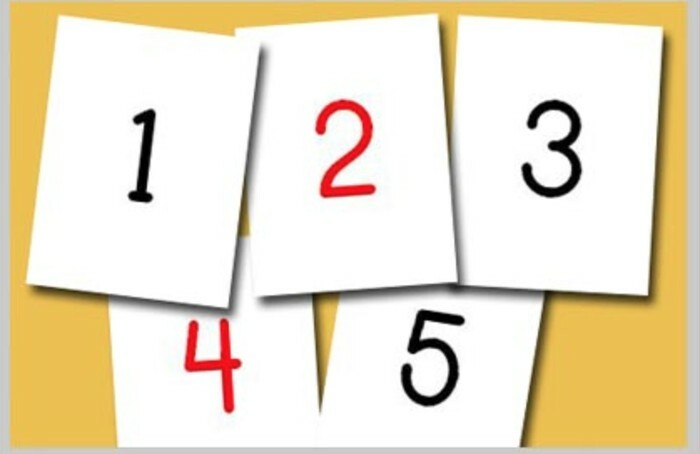 Students often confuse number and digit. The representation of a number as a sum of place values. The representation of a number using digits. 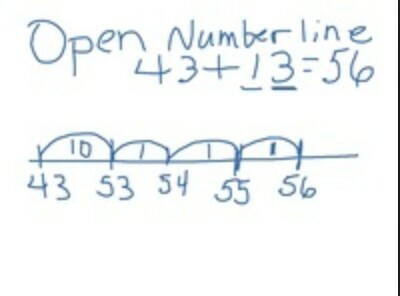 An open number line is an empty number line where tick marks are added to represent landmarks of numbers, often indicated with arcs above the number line (referred to as jumps) demonstrating approximate proportional distances. 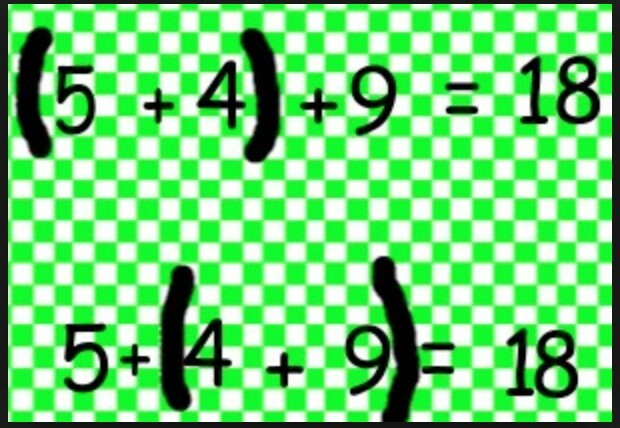 The associative property of addition means that when more than two addends are used, they can be grouped in any order to get the same sum. Equations are mathematical statements with an equal sign. Student must realize that the value on one side is the same as the value on the other side. Expressions are mathematical statements without equal signs. Have students create word problems for YOU! Give them objects, toys, etc. and have them make up a story problem for you. 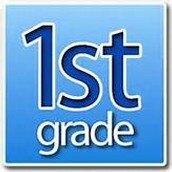 Remember, at this point in time Kinder goes to 10 and 1st grade to 20! During this unit, students apply strategies based on place value and properties of operations to add up to four two-digit numbers or subtract two-digit numbers. Students explore flexible methods and models to solve and represent addition and subtraction situations within 1,000. These including mental math, concrete models, pictorial representations, number sentences, and open number lines. Addition and subtraction situations, where the unknown may be any one of the terms in the problem, should include numbers that require regrouping to solve the problem. Students also experience developing addition and subtraction situations when given a number sentence involving addition or subtraction of numbers within 1,000. Students continue to work on automatic recall and fact fluency. They also determine the value of a collection of coins up to one dollar and exchange coins to create sets of equivalent values. Have your child identify and count coins for you! This is a valuable skill! Students represent multiplication facts through the use of context. Although not expected to learn these properties of multiplication by name, students are expected to be able to analyze, describe, and represent these strategies. Students understanding of multiplication is strengthened by solving one-step problems, including problems involving area of rectangles, and making sense of meaningful, efficient representations and strategies. Later students will use the multiplication concepts as a framework for division. They learn the inverse relationship between multiplication and division helps them learn fact families. 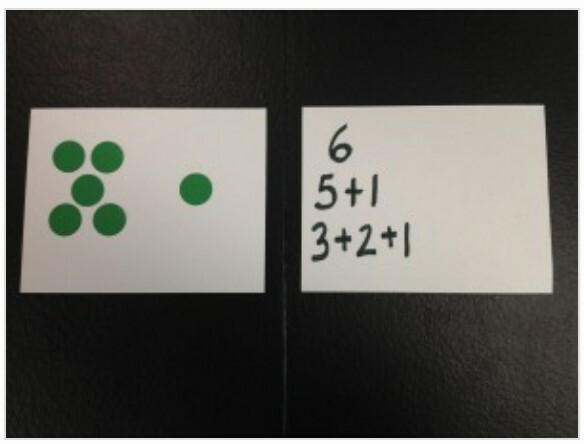 For division, students use a sharing and partitioning model as well as repeated subtraction. 3rd graders are also working with different forms of data: frequency tables, dot plots, pictographs and bar graphs with scaled intervals. This is the first time students work with dot plots, which simply uses dots or Xs to represent data. Frequency tables organize data through the use of tally marks and summarize with numbers. An array is a set of objects arranged into rows and columns. An area model is an arrangement of squares/rectangles into a grid format. 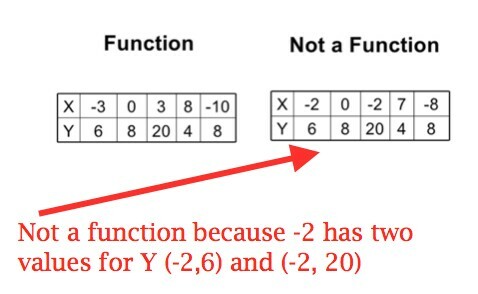 A factor is a number multiplied by another number to get a product. Factors can be grouped and still get the same product. Factors can be rearranged and still get the same product. The Distributive Property says that multiplying a number by a group of numbers added together is the same as doing each multiplication separately. 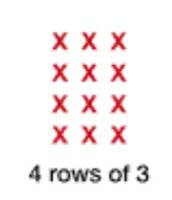 Ex: 3 x (2 + 4) = 3 x 2 + 3 x 4 -- the three is "distributed"
A graph or representation where dots or Xs represent data. A table that includes tally marks and a number summary. The intervals on a graph when each bar does not stand for "one". Intervals are used to make representing larger numbers easier. determine the products of a number by 10 or 100 using properties of operations (commutative and distributive properties) and place value understandings. use mental math, partial products, and the commutative, associative, and distributive properties as well as algorithms (the way we learned) to multiply up to a four-digit number by a one-digit number and to multiply a two-digit number by a two-digit number. Strip diagrams and equations with a letter representing the unknown quantity are also used for multiplying. During this six weeks fourth graders represent quotients of up to four-digit whole number dividends by one-digit whole number divisors using arrays, area models and equations. Students are expected fluently solve one and two step division problems including remainders. This unit also includes representing division problem situations using strip diagrams and equations with a letter standing for the unknown quantity. Students use estimation, rounding and compatible numbers, to find estimates and justify reasonableness for solutions to problems involving division. 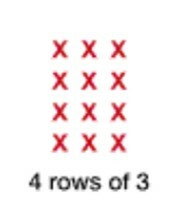 Quotient - the size of each group or the number of items being divided. 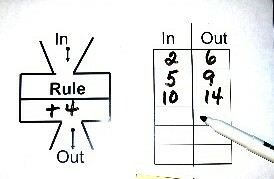 Input - Output tables represent how the application of a rule results in a different value. During this six weeks students work on financial literacy. They define types of taxes including income tax, sales tax, property tax, and payroll tax. They investigate the differences between gross income and net income and compare and contrast various methods of payment including, checks, credit cards, debit cards, and electronic payments. Students develop a system for keeping financial records with regards to income and expenses and balance a simple budget. This six weeks students are formally introduced to the thousandths place. 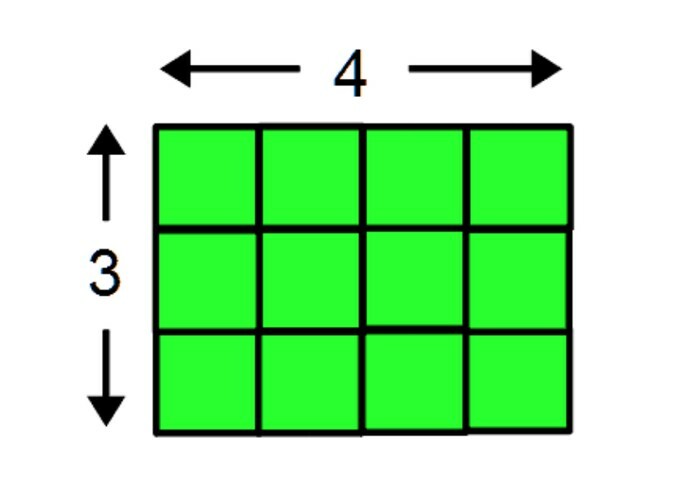 Students understand that each place-value position is one-tenth the value of the place to its left and 10 times the position to the right. Students are expected to use expanded notation and numerals to represent the value of a decimal through the thousandths and use symbols (<,>, =) to compare and order decimals to the thousandths place and round decimals to the tenths or hundredths place. Students represent multiplication and division in problem situations with products and decimals with concrete objects, pictorial models and area models. simplify numerical expressions that include multiplication and division of whole numbers and decimals. Division is limited to four-digit dividends and two-digit whole number divisors. For example 4567 / 26. This six weeks, 6th graders examine number relationships involving identifying a number, its opposite, and absolute value. 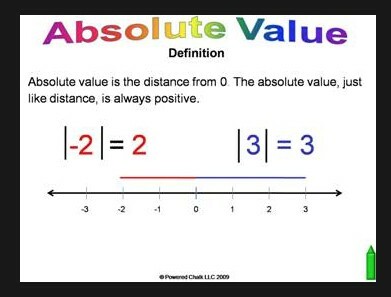 They understand that absolute value can be represented on a number line as the distance a number is from zero, and that absolute value is always a positive value or zero. Students will work with concrete and pictorial models (not just memorizing the rule as their teachers and parents may have done). This is foundational to student understanding of operations with integers. The use of concrete and pictorial models for integer operations is intended to be a bridge between the abstract concept of operations with integers and their standardized algorithms. Sixth grade students are formally introduced to proportional reasoning with the building blocks of ratios, rates, and proportions. Students generate equivalent forms of fractions, decimals, and percents using ratios, including problems that involve money. They solve and represent problem situations involving ratios and rates with scale factors, tables, graphs, and proportions. Students also represent real-world problems involving ratios and rates, including unit rates, while converting units within a measurement system. Students solve real-world problems using part, percent and whole. They find the whole when given part and percent. Find the part given the whole and the percent. Find the percent given the part and the whole. The concept of proportionality is vital to future understanding of upcoming math concepts in this grade and beyond. A ratio is a multiplicative comparison of two quantities. For instance, suppose you were going on a field trip and students and teachers were split into groups. There are 20 students and 4 teachers, so each teacher has 5 students. 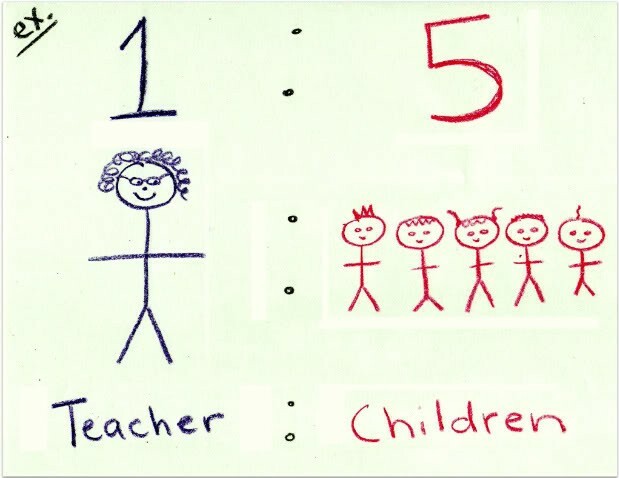 The teacher to student ratio is 1:5 or 1 to 5. A rate is a multiplicative comparison of two different quantities where the measuring unit is different for each quantity. For instance, miles per gallon is considered a rate. The number of people per square mile is also a rate. Scale factor is the multiplicative ratio between two sets of data. 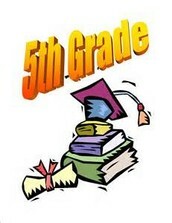 For example, suppose School A has 5 sixth grade classes and School B has 10 sixth grade classes. The scale factor comparing A to B is 2. Seventh graders are studying proportional reasoning with ratios and rates through the lens of constant rates of change. Students are expected to represent constant rates of change given pictorial, tabular, verbal, numeric, graphical and algebraic representations, including d = rt. Students solve problems involving ratios, rates, and percents. They calculate unit rates from rates and determine the constant of proportionality within mathematical and real-world problems. Students use proportions and unit rates to convert units between customary and metric measurements. Students are also solving problems involving percent increase, percent decrease, and financial literacy and identify the components of a personal budget. Students use data with two variables, to determine constant rates of change given pictorial, tabular, verbal, numeric, graphical and algebraic representations. Students are formally introduced to the slope intercept form of equations, y = mx + b, to represent linear relationships. 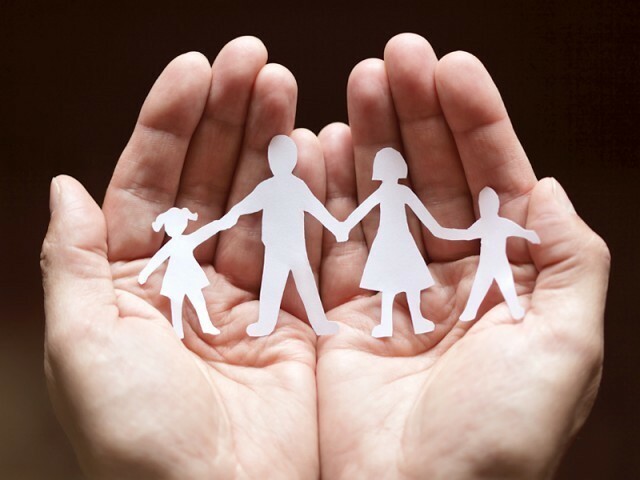 Variable expenses change from time period to time period, such as groceries and clothing, or even cell phone expenses. Fixed expenses are those which stay the same month to month such as rent, or car payment. A coefficient is a number that is multiplied by a variable. 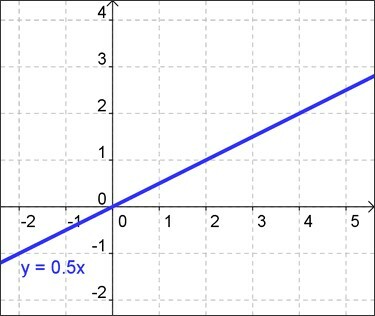 A linear relationship is a relationship with a constant rate of change represented by a graph with a straight line. Similar shapes are those whose angles are congruent and whose side lengths are proportional. The y-intercept is y-coordinate of a point at which the relationship crosses the y-axis meaning the x-coordinate is equal to zero, denoted as b in y = mx + b. During the second six weeks eighth graders are working on two units. 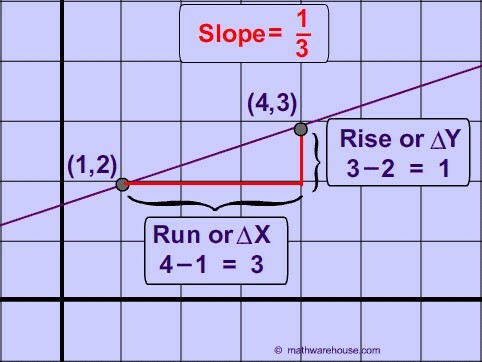 The first develops and understanding of slope and y-intercept. 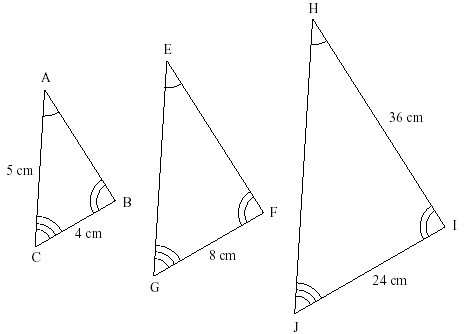 Students use similar right triangles to develop an understanding of slope using the change in y-values and x-values. Students use data from a table or graph to determine the rate of change or slope and the y-intercept. distinguish between proportional and non-proportional linear situations. Students examine graphs of linear equations and the intersection of graphed equations and identify the values of x and y. Students must also verify these values algebraically with the equations. They use this understanding to explain how small amounts of money, without interest, invested regularly grow over time. Students also examine how periodic savings plans can be used to contribute to the cost of attending a two-year or four-year college after estimating the financial costs associated with obtaining a college education. Students are formally introduced to functions and must identify functions using sets of ordered pairs, tables, mappings, and graphs. 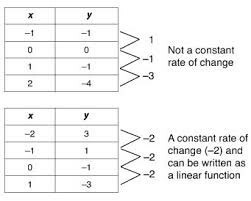 When two variables are related so that their ratios are always the same, they are said to be in direct variation. For example, if a gallon of milk costs $3 and I buy 10 gallons, the cost is $30. The total cost of milk and the number of gallons are in direct variation--the ratio of cost to gallons is always 3. 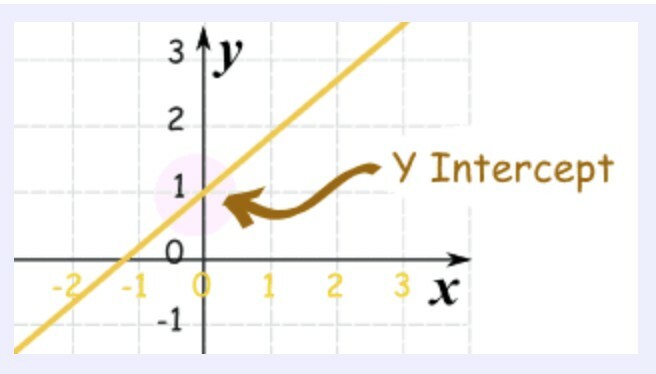 If y varies directly as x, then the graph of all points that describe this relationship is a line going through the origin (0,0) whose slope is called the constant of the variation.